Another beautifully designed but somewhat inconveniently located stadium in Kyushu (much like Oita Bank Dome across the island), Kumamoto Egao Kenji Stadium (32,000 seats) was presumably selected as it’s sometimes used for Japan’s Top League rugby competition. 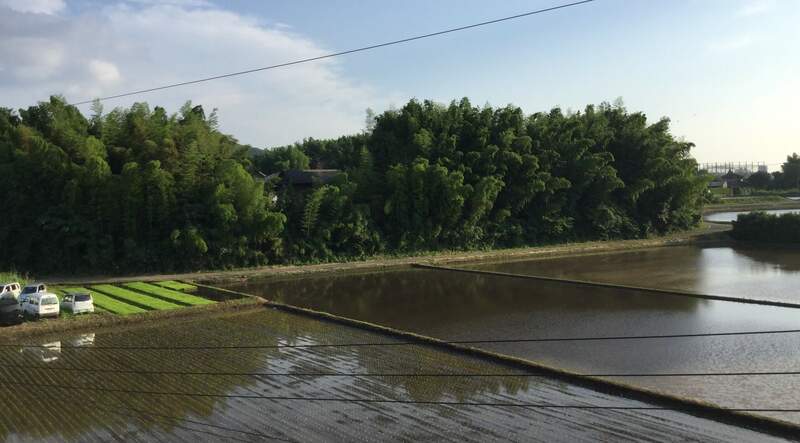 It’s accessed via Kumamoto Station, which is 30 or 40 minutes south of Fukuoka by shinkansen. It’s then a 50-minute bus ride from Kumamoto Station to the stadium. Public bus services are infrequent, but hopefully match day shuttle buses will be provided for ticket holders (to be confirmed). 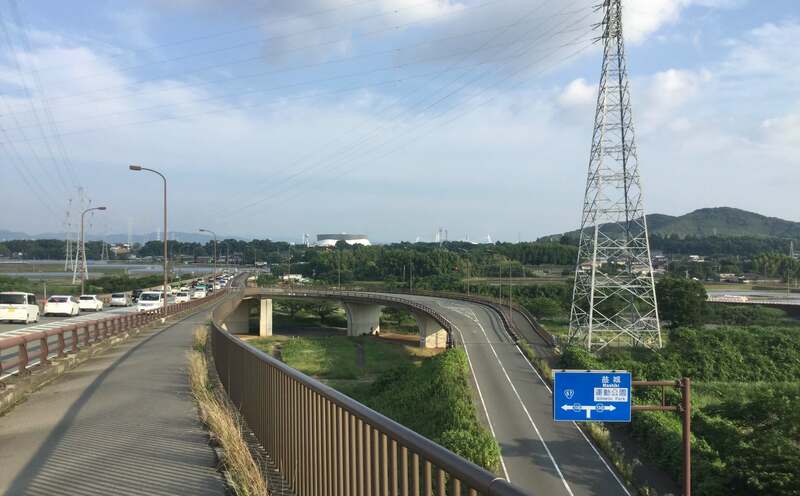 Alternatively, if you want to get as close as possible by train and then walk or take a taxi, the nearest station is Hikari-no-mori on the Hohi Main Line. From there it’s a 45-minute walk along fairly busy roads running through rural Kyushu; there’s a taxi company 500m east of the station on the south side of the main road, from where it’s about 10 minutes by cab. Kumamoto has two tram lines which run through the main downtown area and connect to the main train stations. You can use IC cards on the trams, and also on the city’s buses if you ride them. Kumamoto Castle is one of the largest in Japan. While the existing structure is a modern reconstruction of the original, it’s known for being arguably the best modern castle reconstruction there is (in fact only a dozen original castles remain); unfortunately the castle was badly damaged in the 2016 Kumamoto earthquake and is undergoing repairs which will take several years. This means you can’t visit it as usual, but during the week that the two matches take place in Kumamoto you’ll be able to see the castle from a viewing platform. The White Egret Castle in Himeji (near Osaka) is probably the easiest original castle to visit while you’re in Japan for the rugby, see here. 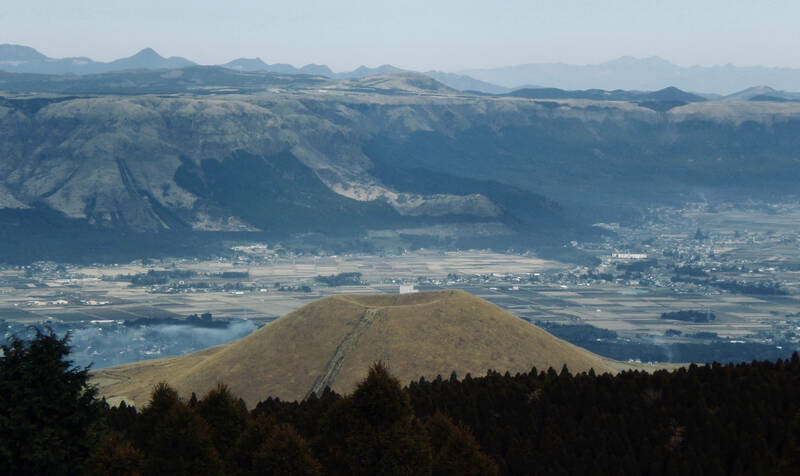 Mt Aso, or Aso-san, is a beautiful volcanic caldera in the middle of Kyushu, lying halfway between Kumamoto & Oita and easily reached from both. 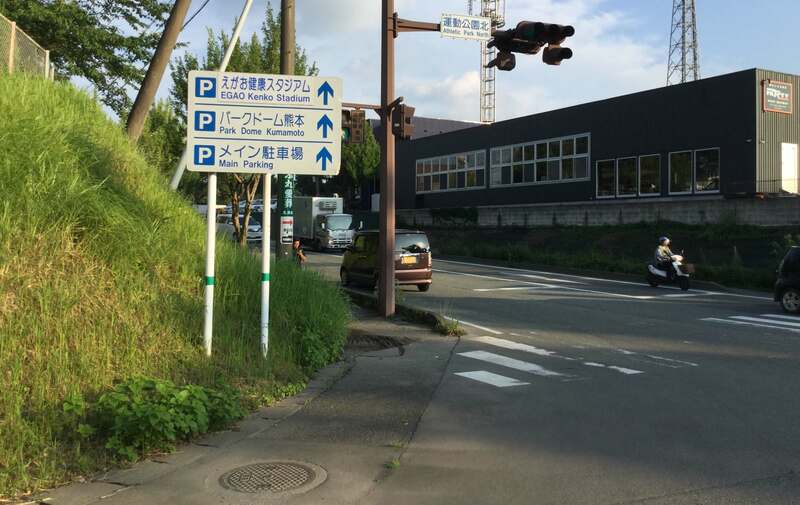 It takes around 2 hours to reach Aso Station from either direction, so while it is doable as a long day trip it’s better to stay a night or two if you can (search Aso hotels here). 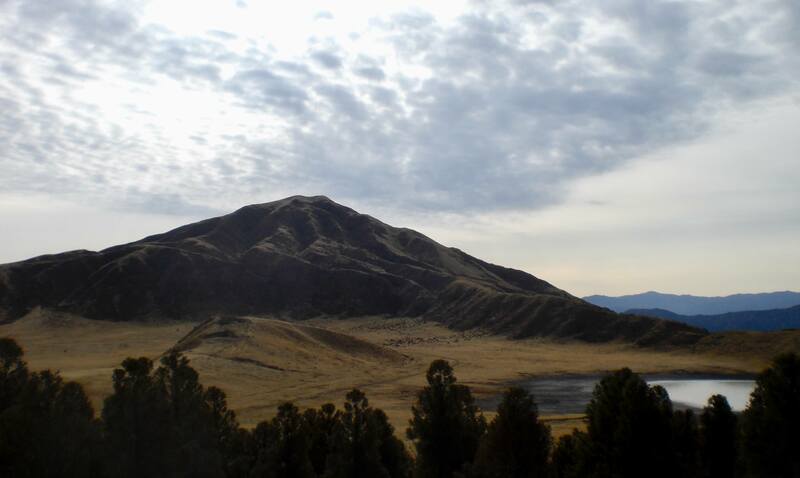 The caldera itself is huge, some 25km across, with a series of volcanic cones at its centre. They’re very much active, but conditions permitting you can go right to the Nakadake crater rim by ropeway or on foot (a 30-minute hike or quick ropeway ride from the bus stop, which is a 30-minute bus ride from Aso Station). It’s one of the easiest active volcanic craters you can visit anywhere on Earth, and you’re treated to views (and smells) of the crater lake and the clouds of poisonous gas it emits. 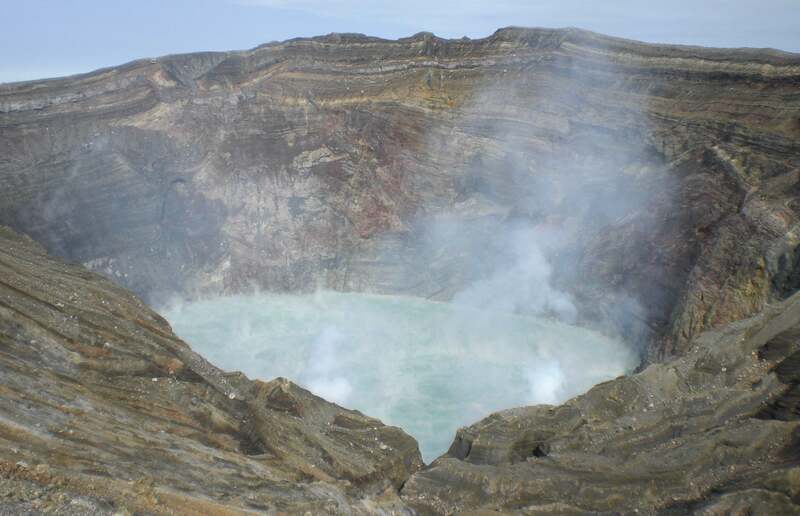 Note that if the gas emissions (or other volcanic activity) are too high, access to the crater is closed off so check before heading all the way there. Any questions about watching the rugby in Kumamoto? Give me a shout below and I’ll get back to you.